Although it has plenty of atmosphere and tense moments, Silent House is ultimately lacking in every other department. There are many small nuances in films that aren’t really noticed or appreciated until they are taken away from us. Like the missing sound from The Artist or the drained color from Sin City, sometimes we have to lose what we never noticed in the first place to appreciate it. That’s why no matter what is said about Silent House in the next few days, let it be known that everyone involved deserves props for what is done here. Claiming to be shot in one single take, Silent House follows Sarah (Elizabeth Olsen) as she works to renovate an old lake house for resale with her dad (Adam Trese) and her uncle (Eric Sheffer Stevens). After a while (or conveniently right after her uncle leaves for town), Sarah’s dad is found unconscious and Sarah is left alone to fend off the threat. Not everything is as it seems, however, and we are plunged into a mystery that must be solved if Sarah has any hopes of surviving the night. The gimmick on the table for this flick is that the whole thing is shot in one take, which means there are no cuts here to comfort the audience. There aren’t any cheap looks at characters’ faces or shots of a totally different location. Everything is claustrophobic and constrained (for the most part) to the house under siege. Because of this style, Silent House can be unbearably tense at times, which almost makes up for the rest of its shortcomings. If that plot summary above sounds pretty contrived, that’s because it is. There are plenty of horror conventions found throughout the film, such as one character scaring another for fun or screaming at a mirror because they saw their own reflection. The obligatory plot twist makes an appearance towards the end, ruining whatever fun was found throughout the rest of the film. To be blunt, the end felt like a cheap punch in the gut, because any horror fan will be able to predict the twist about ten minutes into the film. Even those who avoid these types of movies will have it nailed after about a half hour. Despite this, there is some fun to be found in the romp through the haunted house. The characters are actually a bit smarter than those faced with similar situations, as they hide in smart places and actually leave the house when given the chance. Of course, for every smart move made, two absolutely ridiculous ones are made for the sake of cinematic flare. Can’t find anywhere to hide? Roll under a table that’s about four feet off the ground! Did you lose your lamp? Take pictures with a camera with ridiculous flash! Stupid decisions aside, the actors are all competent at being horror victims. Olsen is particularly good, as she can play terrified, but she can also be rational when making decisions. When she’s scared, she covers her mouth and screams silently so no one can hear her rather than panting and wailing at nothing. Her dad is just kind of there, as cardboard as characters get, and her uncle follow suit. With such a small cast, it’s disappointing that only one of them stands as an actual character. Directors Chris Kentis and Laura Lau both worked together on Open Water, a ballsy film that had plenty of tension in it. It’s a shame that Silent House couldn’t pay off as well as its predecessor, because the directors do manage to set up some nerve jangling surroundings. The house is expansive, creaky and easy to get lost in. Every room opens up into three more, with mirrors and creepy toys strewn about everywhere. You wouldn’t catch me alone in that house, and the characters all seem to be just as creeped out as the audience is. But no amount of eerie scenery and competent acting can keep Silent House from being anything more than a mediocre thriller. The “one take” gimmick plays like a mix between found footage and a narrative shot, but it effectively creates some tension. Despite this, the characters still make stupid decisions, the ending is just plain awful, and the scares are never pushed as far as they can be. This is what disappoints me the most, because there are so many moments where terror could have been injected to keep the film interesting, but absolutely nothing happens. Nothing is as unforgivable as a horror film (especially one that’s rated R) that pulls this many punches. 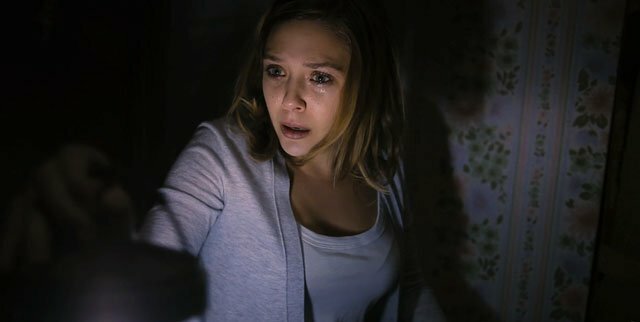 For those who want to see an interesting take on the genre, Silent House might make a decent rental. That being said, there’s nothing here that can satisfy horror fans or even scare the uninitiated. It’s nice to see the beautiful Elizabeth Olsen take a stab at horror, but everyone knows she can do better than this. Everybody involved can do better than this. Hopefully next time the story can live up to the gimmick.